A Billion Steps in the Right Direction — Lodi Live! Here are the four steps to getting started on the Billion step Challenge. 1- Download the Move Spring app on your smartphone. 2- Create an account. Use "APHA2019" as the organization code for the Billion Steps Challenge. 3- Join an existing team or create your own team. Don't have a team? Join the Healthy Lodi team. Whether you prefer sneakers or boots that were made for walking, it’s time go grab your favorite walking shoes because Lodi is officially taking on the Billion Step Challenge. We in Lodi have found ourselves in a bit of a tough spot. According to recent reports, Lodi ranks number 3 in California with the most type 2 Diabetes cases. Ouch. Think you’re healthy and this doesn’t affect you? Think again. Why should this concern you? First, there’s the obvious reason: we want those we know and love to be healthy. Diabetes is a very serious disease with harmful consequences, especially when the disease isn’t managed properly. Type 2 Diabetes, formally known as Adult Onset Diabetes, generally occurs after adulthood. In recent years, however, with the growing obesity rate, it is being seen not just in adults but also in children. Children being diagnosed with type 2 Diabetes is growing at an alarming rate.The life expectancy for a person with type 2 Diabetes is 72 years. Chances are, if someone is sick, there’s not a lot of quality those last few years of life. It has to be scary and overwhelming getting a type 2 Diabetes diagnosis. Besides this, Diabetes is expensive. It’s not just expensive for Diabetics, it’s expensive for all of us, even the healthy people. Employers are already paying an average of $15,000 per year for each employee's insurance. If that employee has diabetes add an average 5% to the annual premium cost. Plus, it’s expensive to the person with the diagnosis. Employee annual out of pocket healthcare costs are $4,400 with type 2 Diabetes. Here’s the good news: for most people, type 2 Diabetes can be prevented, and if a person is already Diabetic their condition can be improved, through simple, good old fashioned, diet and exercise. Here’s more good news: a group of concerned leaders in Lodi have created the Healthy Lodi Initiative to fight back against this growing Diabetes epidemic. They’re looking for people like you. People who are healthy, people on a journey to better health, and people already battling this disease to join in the fight against diabetes. The only prerequisites are that you care and that you are willing to take those first few steps. For those of you who are ready to join in fighting back, the first challenge is rolling out now. The very first program launched by this Healthy Lodi Initiative is the Billion Step Challenge. You read that right, billion, with a “b”. The biggest risk factor to developing type 2 Diabetes is being overweight or obese. Because of that, weight loss is the primary factor to improving your health with type 2 Diabetes, and preventing the disease all together. 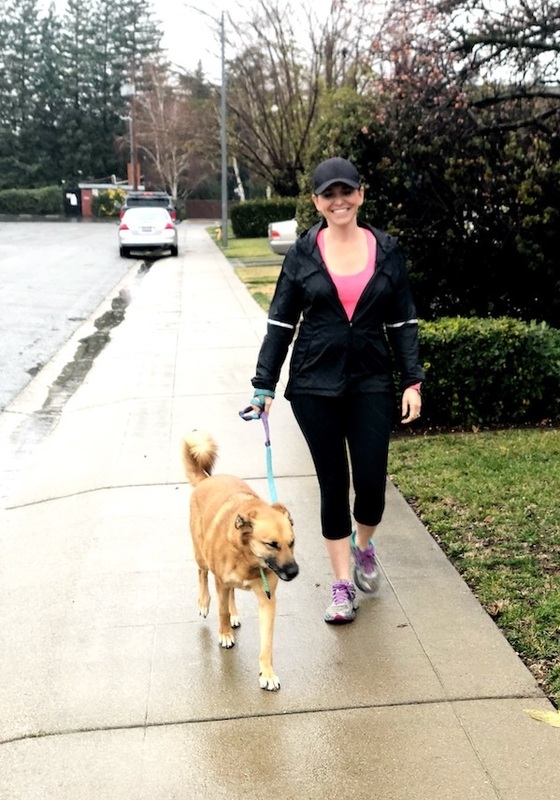 Exercise has been found to be an especially powerful tool, which is why the Healthy Lodi Initiative is challenging Lodi to the Billion Step Challenge. We don’t want to just challenge the city of Lodi as a whole, we want the city of Lodi to challenge one another: school versus school, real estate group versus real estate group, church versus church, gym versus gym. You get the picture. If you’re reading this, chances are you are somebody who is involved in the community. You might just be the perfect person to lead a team! If you just read that and thought, “Thanks but no thanks.” I would put money on it that you know leaders who you can share this with. Get people involved! The success of this program is riding on people like you sharing this and challenging others. Why did the Healthy Lodi Initiative decide to start with the Billion Step Challenge? Because strong social networks and peer pressure helps us be successful, plus people like to rise to a challenge. Think about the ALS Ice Bucket Challenge a few years back. It seemed like everyone in the world was hopping on to social media and dumping buckets of ice on their heads to support this ALS fundraiser. Sure, there were more than a couple of reasons why that was successful, but a lot of that had to do with people feeling like they were part of a movement through social media. They were motivated because their peers were doing something and they wanted to be part of it. If I asked you to dump a bucket of ice on your head today would you do it? Probably not. But because of all the peer pressure we were dumping buckets of ice on our heads left and right. If a few social media posts could get hundreds of thousands of people to dump buckets of ice on their heads, think about how successful we can be in just getting people to walk. I’ll take walking over dumping ice on my head any day. Working in a group creates a network and gives us support. It holds us accountable. No matter how excited you are about achieving your goals, no one feels motivated every single day. It’s easy to lose momentum. That’s why having a team to hold you accountable is so important. As far as the challenge portion, who doesn’t love a good challenge. Maybe some of you who are reading this are thinking, “Oh, I could win or lose, I’m not competitive.” I don’t buy it. You’ve never had a little competitive urge? You’ve never enjoyed being right in an argument? Or running just a little bit longer on the treadmill than the person next to you? Or making cookies just a little bit better than your coworker or mother-in-law? Of course you have. That’s why we want a challenge. People like to win. Groups are great to hold you accountable and keep you motivated, and so are bragging rights when you beat someone else in a challenge. Winning is fun. Lodi has a problem. Our type 2 Diabetes rates are way too high. But with every problem there is an opportunity for something good to happen. The good that will come from this is a community that supports a healthier lifestyle and prioritizes healthy families. The Healthy Lodi Initiative is working with leaders across the community. Leaders are joining from the biggest businesses in Lodi to the tiny mom and pop business leaders. Leaders are coming from Lodi Unified School District, the Lodi News Sentinel, churches, nonprofits, gyms, and even departments from the city and county government. Everyone deserves a chance to live a long and healthy life. Intentionally creating a community that prioritizes everyone’s health and wellness gives our friends, families, coworkers and neighbors a chance at a longer and more fulfilling life. Some type 2 Diabetes diagnoses aren’t preventable, but many are preventable through lifestyle changes. No one is discrediting how hard lifestyle changes are, but we can do it. Together, as a city, we’re ready to change our Diabetes rankings. We’re taking on the Billion Step Challenge, one step at a time, and are ready to crush it. So get your phone and sign up now.